Performers should seriously consider that when internal cuts and the realignment of text are made to scenes or monologues, there is the risk of significantly altering the interpretation of the dramatic idea of the play and the author’s intent. Most authors would not support such an action, even for an audition. Both coaches and students are reminded that they assume the liability if the rights holder choose to formally complain about the way the material is used. If your school does not appear in this listing, please contact kcactf8@gmail.com with the correct name and spelling of your institution. Please list ANY KNOWN TITLE INFO below. This is not required to submit this form (but be aware that some titles are unavailable for performance at festival, and pre-clearing titles by listing them here can save you time and heartache at the check-ins). 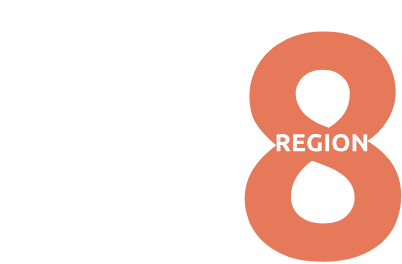 If the title is not covered under one of the companies listed on the website, then YOU MUST OBTAIN WRITTEN right to perform material at festival BEFORE you may use the piece in your audition.For more info, ask your school rep and kcactf8@gmail.com. Round One– A maximum of three minutes in the regional preliminary round to present a two-person scene and a monologue. Only 1 selection may include singing. For Festival 50, Region VIII will provide an accompanist. Round Two– A maximum of 5 minutes in the regional semifinal round to perform the preliminary round scene AND a contrasting two-person scene (which may or may not incorporate singing) using the same partner for both scenes. For Festival 59, each Irene Ryan nominee must provide their own accompanist. For Festival 50, Region VIII will provide an accompanist. Additional Scene or Duet Rights Holding Co. Round Three – A maximum of 6 minutes in the regional final round to present the semi final round audition scenes plus the monologue or solo musical number from the first round scenes. For Festival 50, Region VIII will provide an accompanist. Verfication of student status for Irene Ryan candidate and partner requires signature of Department Chair or delegate. Once you receive the confirmation email, print it out and have it signed. Bring your signed e-mail confirmation to the Irene Ryan preliminary round check in. Do not fax or send by snail mail, this form or the confirmation email to the coordinator as it has to be an original signature. Bring it to the Irene Ryan preliminary round check in. I have discussed my materials with my department chair or faculty sponsor. I acknowledge that I am aware that I am liable if I violate copyright laws by making internal cuts to my pieces. I have read and agree to the rules and criteria for the Irene Ryan Scholarship.